New game from developers of Shift series. They planning to realise game in winter 2012/2013. It's gonna be Self-financing game like iRacing with Single & Multi-Player. Game look like it gonna rock. If it has a proper SP count me in. At first, I thought it'll be a MMO racing game. Confirmed for PC, Xbox 360, PS3 and Wii U.
Rinspeed, we need an icon for Wii U, since games for it are starting to be revealed. Why Audi A4 and Audi R18 named as Asano? NFSRacer0210 wrote Why Audi A4 and Audi R18 named as Asano? looking forward to this being released!!!! Mitsubishi Lancer Evolution coming soon. I uploaded the Caterham SP/300.R. Added all locations that are known. I added the BAC Mono. So, this has both licensed and unlicensed cars? Good name and idea, but at this stage it does not look like it will pull it off. stryder237 wrote Good name and idea, but at this stage it does not look like it will pull it off. It's pre-alpha, they're not even far with development yet and this is what they have at the moment. You have lots of cars and tracks to add. They bring M1 Procar as well? Bad thing is that you have to pay membership in order to play the game while in beta. Atleast 10 euro. I wonder when the release is and if its any good at release. With Forza it has a big contender on the xbox. But the graphics look cool. RUFs will be featured in this game. but no Porsche. Mark0 wrote New game from developers of Shift series. Does anybody know anything about FIA GT in the game? I'd really like to race these cars in a proper Simulator! In Forza all the AI just race to crash into you and I want to race a clean race like it's possible in Shift 2 but it's too unrealistic. Gran Turismo 5 is good but It just doesn't seen that fully right. And I have a question if anybody knows. If you go into the Pit Stop, do they actually take off the wheels so you can take a pic or is it like Forza that it just magically changes the wheels without taking them off and fuels the car without any people doing it? ^ What??? ;/ No way I'm buying that NOW!! Maybe somebody will find a way to mod it. Just added the Mitsubishi Lancer Evo FQ-400 to the list. X360 and PS3 versions cancelled. J-2 wrote X360 and PS3 versions cancelled. That's a good blow for anyone wanting a good proper sendoff for a Sim-Racer on those consoles. Audi's been confirmed. No more Asano! Release set to November 2014. Logo updated to present logo as seen on Project CARS' website. Logo was also shown at the end of the recent Project Cars trailer. i must say that the lineup is very nice and not that standard 08/15 need for speed line up. Almost all tracks confirmed as licensed now (those who have pictures here), only Suzuka will be called definetely Sakitto. Wow. The first one wasn't even that good! Everything they want to put in PCARS 2 should have been in this game to begin with, this is just a plain money grab. It will be intresting with the Fusion and the unlicensed Caper Stock Car, based off a Lumina from the very late 80's / early 90's. Also look like Free Car will be Aston Martin Vantage GT12. The 'Game of the Year' edition is on it's way. Planned to be released this Spring, it will include a few exclusive bits. These exclusive bits come in the form of game (overall, not just the GOTY edition, as these will be available as On Demand (regular DLC) content for older copies) exclusive Paganis: the Zonda Revolucion and the newly unveiled Huayra BC, plus the Nurburgring and the GP circuit. All players will be able to get this content, it's just that the GOTY edition will come with it pre-loaded on the disc/in the game files. It was Gamespot best Racing game of 2015. It's not such great game to deserve GOTY award. Assetto Corsa is way better, and it should get GOTY. On other side Project CARS is better than Forza 6 and DriveClub you mentioned. It's so hard for small developer like Kunos Simulazioni to win mainstream GOTY against big boys like Sony and Microsoft even if it's better in every aspect (they are only worse in graphics). The Game of the Year Edition has a worldwide release date- May 6, 2016. Sound familiar? 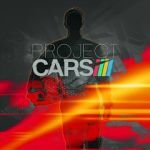 Because the initial release of Project CARS in Europe was- May 7, 2015. BTW, what's happening with the sequel? I've heard almost nothing about the game since it was announced and it seems the developer's focus is on this game right now. Better if SMS will focus on a single project at a time instead of doing everything all at once. World of Speed hasn't been released yet. So Japan is getting a special edition of the game called the Perfect Edition.... because this game is far from perfect. The Mercedes-AMG GT3 will be coming to this game next Friday, April 15th, as a free car.